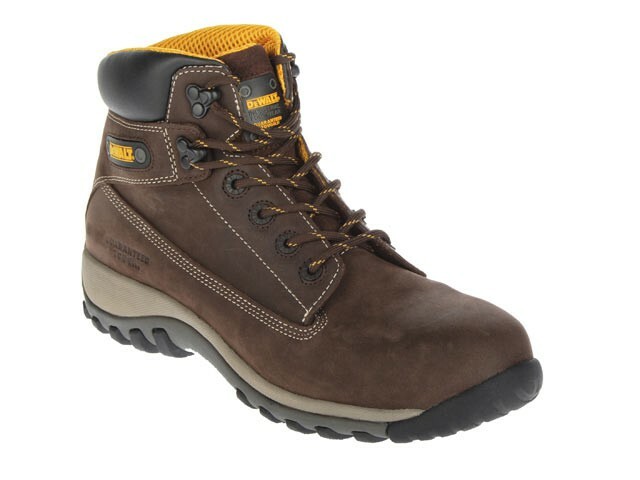 The DEWALT Hammer Non Metallic Boots have a brown nubuck upper and anti-bacterial insole with dual density seat region for shock absorption. The boots have a lightweight and flexible design with a steel toecap that offers protection of up to 200 joules. There is also a steel midsole for underfoot protection. The EVA rubber sole is chemical and oil resistant. The sole is also anti-static.